I have had a few people asking how I set up my Shared iSCSI storage for my own VMware Lab environment I run at home – the same lab I used to study for my VCP 4 and VCP 5 exams. So, I thought I would write up a blog post detailing how to go about setting this up and trying it out for yourself. The last two options (hardware based are less feasible for a lab environment as you ideally don’t want to pay for something you will be testing. That being said, I was quite keen on the HP P4000 LeftHand VSA, as it offers the same kind of interface that you would use with the actual hardware version as well as some really cool enterprise-like features, such as clustering. In fact, as I understand, many businesses actually use the P4000 VSA in production – it was in the game before VMware came out with their own Virtual shared storage solution. Both of these solutions actually provide highly available shared storage for your ESXi hosts. Anyway, enough of the small talk – lets get on to setting up some shared iSCSI storage for our ESXi hosts to use for running Virtual Machines. First of all download the trial of the HP P4000 LeftHand VSA. Once you are signed up for the free trial, you should get two options – one version for “Laptops” and one for “ESX”. Grab the relevant version – I chose to run my VSA VMs directly in VMware Workstation 8 and allowed my ESXi VMs access to their storage. If you want to run your VSAs as VMs on your ESXi host VMs then grab the “ESX” version. Once you have it downloaded, extract the download into a convenient location. I wanted my VSA to run on faster disks in my home system, so I moved the extracted files to an SSD volume. Remember to take this into consideration for your lab too – VMs will be running on this, so plan your lab VM deployment and storage carefully. Once ready, simply right-click the VSA.vmx configuration file and select “Open with VMware Workstation”. (Or add to Inventory if you are using the ESX version and browsing the VSA with your Datastore Browser). Thin provisioned (Leave “Allocate all disk space now” unticked) – to save disk space on those SSDs especially! Important: If you didn’t get an option to specify the Virtual Device Node, go back to “Advanced” on each disk and change to device node x, where x is Virtual Device Node SCSI 1:1 to 1:3. (a different node for each disk you added). 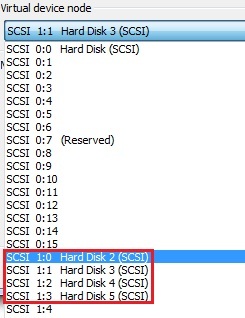 If you do not specify these selections, then the VSA will not detect your disks or be able to use them. Remeber to use these Virtual Device Nodes for each disk added. Once your disks are added, ensure it is on the right VM network (I used bridged in Workstation for my lab), your network situation will of course vary. Then power up the VSA. 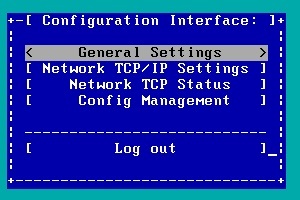 Whilst it is powering up, we’ll need to get the HP P4000 Centralized Management Console installed on a “management” PC. In your VSA download you should have also received the installer for this. Simply run the installer and go through the wizard to get this installed. Navigate to Network TCP/IP Settings and choose your eth0 adapter. 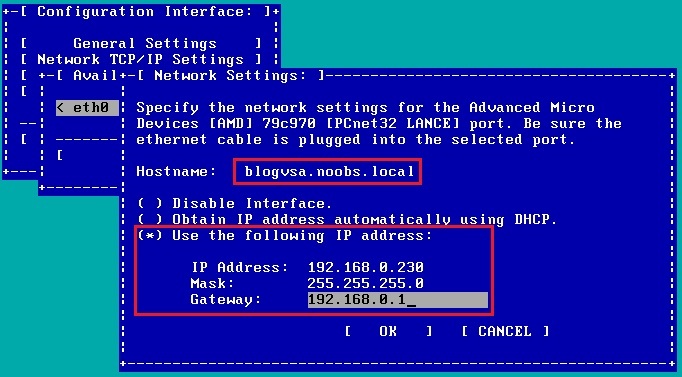 Configure a hostname for your VSA – in my example I used “blogvsa.noobs.local”. Don’t forget to set your VSA up to have a static IP address and enter your network details. If you have a DNS server, now would be a good time to also add an A Name Record for your VSA’s hostname and assign it the IP address you configured it with. Accept the network changes for the VSA and wait for it to apply the new settings. Now launch your HP P4000 Centralized Management Console from the machine you installed it on, and we’ll begin setting this VSA up. Once open, you should have a few options to the left, and hopefully, the CMC would have already found your new VSA on the network. If not, don’t stress – just use the menu option Find -> Find Systems -> Find. Once the VSA is discovered, you can then close the “Find” window and view the VSA under Available Systems. Expand Available Systems and locate your newly powered up VSA. Next, we’ll create a new Management Group and add the VSA to it. The group will exist on this VSA as it is our only storage system. Right click on the VSA and choose Add to New Management Group. Give the group a suitable name, then click Next. The next screen asks us to create an Administrative user. Enter the details for a new admin account and then click Next. Specify NTP server settings, or set the time manually then click Next. Set up your DNS Server and Domain Name on the next screen, then click Next. If you have an SMTP server to use for email alerts, enter those settings on the next screen, or continue. To keep things simple, on the “Create Cluster” page, select the default “Standard Cluster” option, continue, give it a name, then click Next. The next screen requires you to specify a Virtual IP for Fault Tolerance or load-balanced iSCSI access. 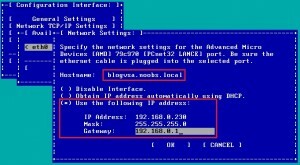 Add an IP and the correct subnet mask then click Next. The next screen allows us to create a volume. We have not set up our disks and RAID yet, so check the option to “Skip Volume Creation” and we’ll come back to that afterwards. Finish the wizard and wait for it to create the Management Group and configure everything for you. Once complete, it should auto-login to the Management Group using the admin user you specified for you. Review the summary once complete and close the wizard. 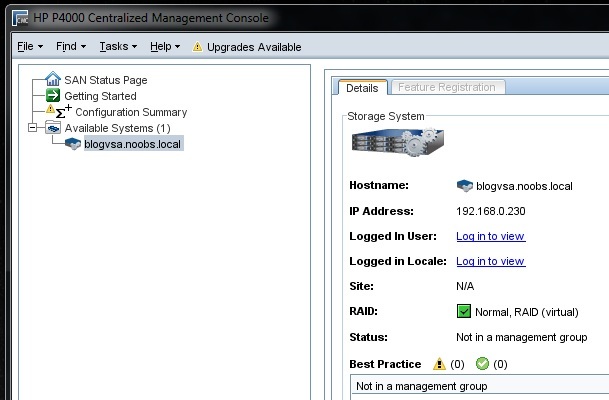 Now, expand out your Storage Cluster under the new Management Group and find your VSA system. Select Storage and then click the Disk Setup tab. We’ll now initialize each disk that we added to the VSA earlier and add it to the RAID group for the VSA. Right-click each uninitialized disk and select “Add Disk to RAID“. Add each uninitialized VSA disk to the RAID group. Edit – [part 2/2] is now up – finish off the article here.